KEN YUSZKUS/Staff photo. 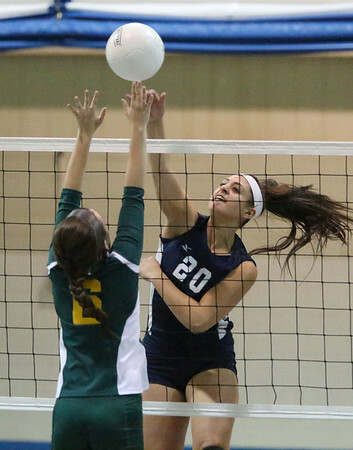 Marina DeMild slams the ball back over the net at the Lynn Classical at Peabody girls volleyball match. 10/19/15.